Of particular interest to us were the exquisite cyanotypes by Kim SInclair and a gorgeous photogravure print by Silvi Glattauer in the Veritas Editions exhibition. All 3 exhibitions are running from 5-29 April. 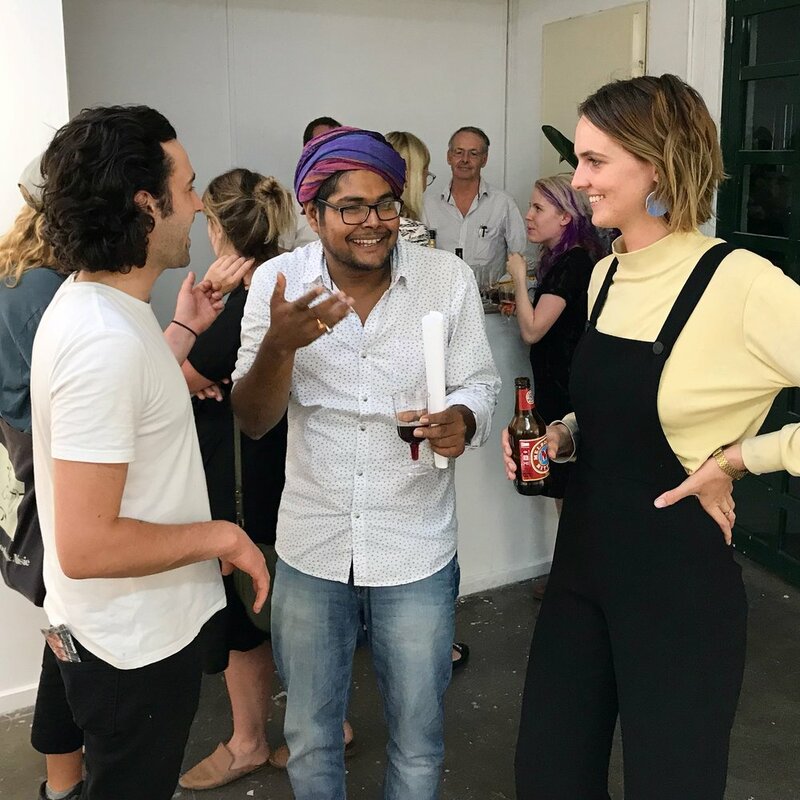 From there we went to Canberra Contemporary Art Space in Manuka where Megalo member and recent graduate of the ANU School of Art and Design (Printmedia + Drawing), Skye Jamieson is having a solo exhibition Hold a Mentos Wrapper. Skye has been making good use of her graduate membership this year and it was great to see some of her print pieces complete and installed. Skye's exhibition is running through to 5-15 April 2018.